This week I was very fortunate to be awarded by the Arts Council a grant towards the research and development of my second novel 'Letters From Yelena'. The book in progress contains the letters sent by a brilliant ballerina to ‘Noah’ – a writer who first gave her faith in people after the darkness of her childhood. By chronicling her journey first as an immigrant, then as a rising ballerina, the letters will chart how seemingly insurmountable obstacles can be overcome through the connections people make. I'm grateful that the award will allow me to spend much more of my time writing, as well as taking me to St Petersburg in Russia in a few weeks time. Whilst there I hope to visit the prestigious Vaganova Academy and world famous Mariinsky Theatre - places where my lead character learnt to dance. 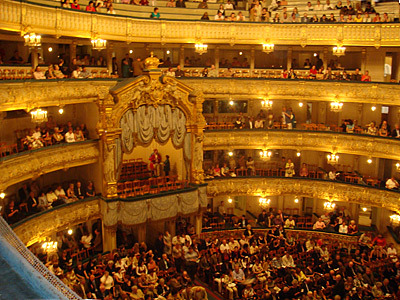 I'm also attending a performance of the famous ballet-blanc 'Giselle' at The Mariinsky Theatre. St Petersburg is a city I have been longing to visit for a while and it will be great to go there to work on my second novel. It will be good to flesh out exactly how my character would have lived, and hopefully see her gradually come to life before me. The Ballet and St.Petersburg? Why yes I am slightly jealous of your situation at the moment. How fantastic for the Arts Council to fund your work and allow you the opportunity to travel to Russia to write and research. It's one of my dream jobs to be a writer.